In recent years the College has welcomed more and more very able students from our partner schools. Our More Able Students’ Programme is aimed at those who achieve a number of A or A* grades at GCSE and is committed to giving learners the opportunity to develop the skills and academic profile to progress on to courses at prestigious and high-ranking universities. With intense competition for places at leading institutions, we are dedicated to providing exceptional teaching and learning and a wide range of opportunities for our students to become outstanding leaders, pioneers and innovators. More able students are supported and monitored in their academic work and provided with mentoring and one-to-one opportunities. 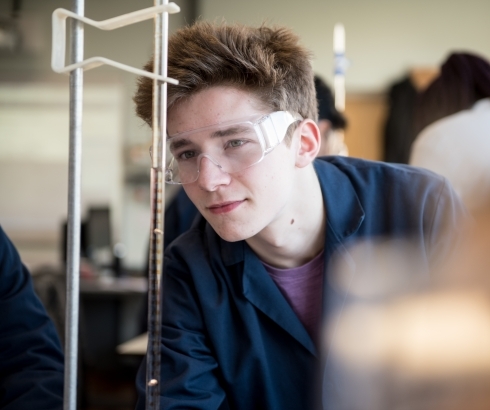 Students are also offered specialist support with their applications to leading universities and/or for highly competitive subjects such as Law, Medicine, other health care specialisms and the fields of engineering and science. We also encourage students to consider the expanding range of new, high level opportunities such as: degree apprenticeships, professional higher apprenticeship programmes, high quality gap year industrial placements etc. The College also supports students in finding a relevant, and often crucial, work experience or volunteering placement. Our careers advice and guidance team will encourage high-achieving students to engage with a range of exciting potential opportunities including: specialist conferences, subject seminars and academic initiatives supported by the best universities in the UK and USA, Oxbridge coaching and competitive work insights and Year-in-Industry experiences. 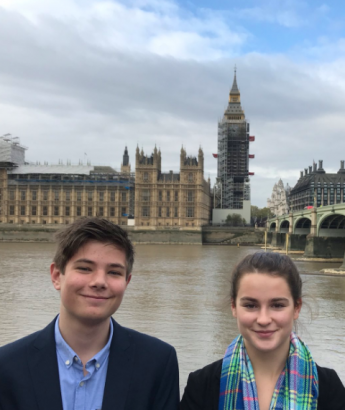 A great number of opportunities are at your fingertips including a range of high-level skill development programmes such as ‘Model United Nations’, ‘Modern Business, Language and Culture Courses’ and ‘House of Lords Engineering Debates’ to name a few. Successful people are busy people and at Portsmouth College, we provide all the tools you need to achieve and succeed your aspirations. 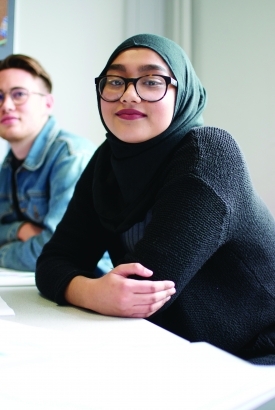 At Portsmouth College, we are committed to challenging our students and providing them with the opportunity to achieve high grades across all of their subjects. More able students are supported and monitored in their academic work and offered one-to-one guidance from teachers, the chance to be mentored in your first year by high-achieving second year students, mentoring from university students via our Portsmouth Scholars Scheme and regular drop-ins with our pastoral team. If students can secure high grades in their subjects they will open up a huge range of exciting and demanding post-college opportunities. Students are offered specialist support in their applications to leading universities and/or for highly competitive subjects such as Law, Medicine, other health care specialisms and the fields of engineering and science. We also encourage students to consider the expanding range of new, high level opportunities such as: degree apprenticeships, professional higher apprenticeship programmes, high quality gap year industrial placements etc. The College also supports students in finding a relevant, and often crucial, work experience or volunteering placement. Peer mentoring – mentor first year students in your second year. There is no better way to learn than to teach someone else!